Here at Advanced Periodontal Services, PC, we play a very important role in the replacement of teeth with our Brighton Beach dental implants. 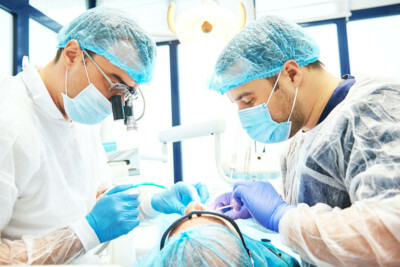 As a specialist in all things related to the gums, you can count on our periodontist to expertly handle the surgical placement of the post that is the foundation of implants. So, you have a missing tooth. Maybe you have more than one. If so, you may feel awkward about smiling. If the tooth is located at the back of your mouth, your chewing can be less efficient. And no matter where it used to be, your other teeth might begin to shift. This leads to discomfort and possibly having your jaws thrown out of alignment with each other. That’s quite a few drawbacks. Fortunately, our Brighton Beach dental implants are the ideal solution. They are roots, just like the ones that your natural teeth have. So unlike dentures or bridges, they do more than just sit on the surface of your gums. Indeed, once they are complete with an abutment for support, and a tooth-colored crown (which are done by your restorative/general dentist), they look, feel, and perform exactly like a natural tooth does. The process is simple. First, our periodontist will test your jaw bone and gums to make sure you are a good candidate for the procedure. If your jaw is not sufficient, bone grafting can be done so that you can still benefit from our Brighton Beach dental implants. The titanium post is surgically placed in your jaw. Over the next few months, your jaw bone will grow around it. Ultimately, your jaw will fuse with the implant. It is then that you have a dependable foundation. With proper care and maintenance, you can expect Brighton Beach dental implants to last a lifetime. Why not make your appointment to come in and find out if they’re the right option for your teeth replacement needs?